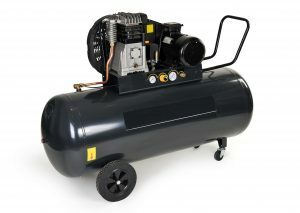 It’s a fact that air compressors generate a lot of heat. That heat can cause problems with your unit if your facility isn’t properly ventilated. Excess heat can result in the poor performance of your air compressor and even reduce its overall usable lifespan, so it’s essential to make sure that your unit is kept as cool as possible, especially during the sweltering summer months. There are a couple of ways you can handle the extra heat your air compressor produces. Sometimes, it isn’t possible to have your air compressor in a climate-controlled location. In that case, you can ventilate the heat out of the room by having ductwork built that will remove the air generated by the compressor and draw it out of the facility to dissolve. Adequate ventilation is key to keeping those heating issues at bay. Keeping your air compressor cool will help protect your system for years to come. For more information on air compressor cooling, don’t hesitate to contact NB Sales & Service of Bakersfield. Our trained technicians work with most manufacturers and can handle all of your air compressor installation, maintenance, and service needs.